We got a BUNCH of green beans in our co-op box this week, so we have a problem! 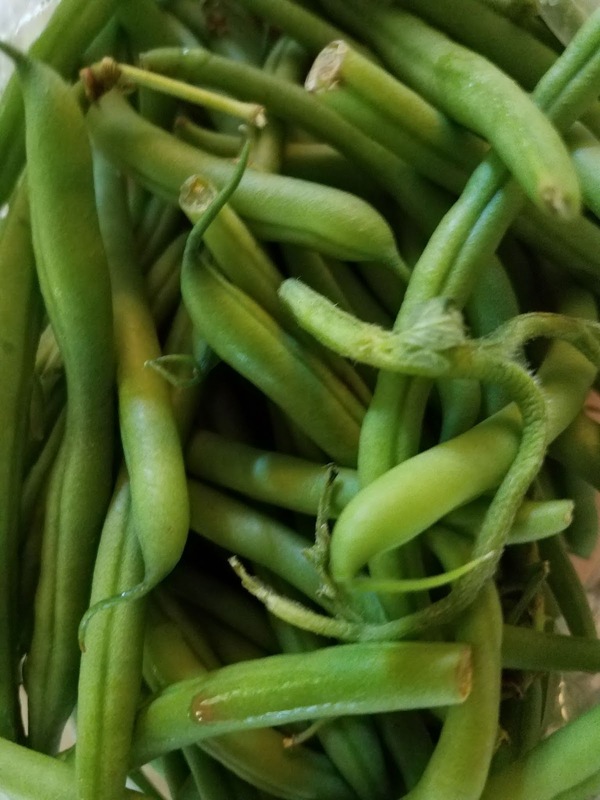 I'll be honest, green beans are probably the veggie we eat LEAST at our house. The Boy does not like them, so we mostly avoid them. I don't fight him much, because all I had of them growing up was green bean casserole, which I think is just extremely soggy and gross. But we are growing a bunch in our backyard, and it is time for him to get over his aversion to this wonderful waxy bean! 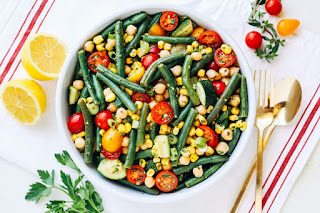 The ones that look the best to me are green bean summer salads, which mostly seem to tie green beans into pretty classic summer salads. But they look so bright and delicious! 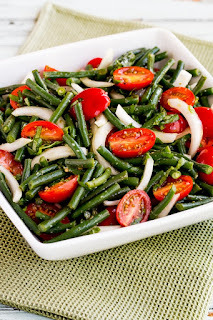 One of my favorites is this green bean and tomato salad from Kalyn's Kitchen. Tomato salad is a summer staple at our house, so this is the perfect way to sneak it in. I also can't resist this summer green bean salad from Oh My Veggies. No one complains when roasted corn is involved! Throw this out there as a summer dinner (with some bread on the side?) and who will complain? Another summery salad idea? Green beans and chickpeas! 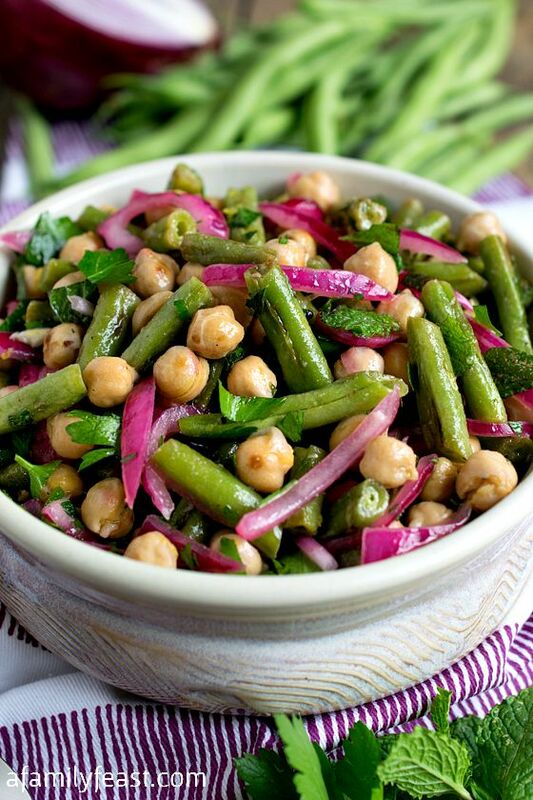 I love this salad from A Family Feast. 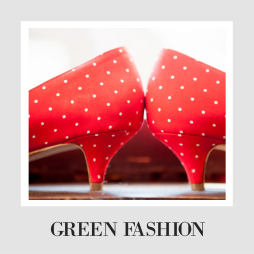 So simple, but don't you just want to try it now? 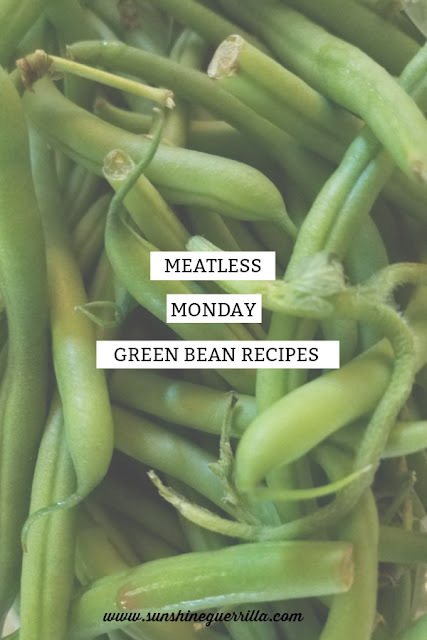 I love green beans as a throw in- they don't have a super strong flavor, so it makes perfect sense to throw them in with other ideas. 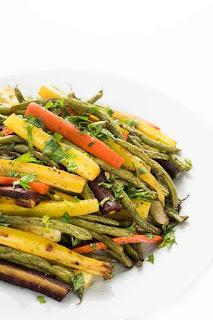 I love this roasted carrot and green bean combination from The Lemon Bowl, because spicy carrots is so easy to pull off, so throwing some green beans in makes perfect sense! 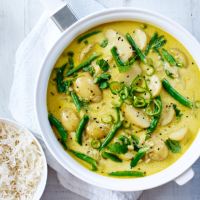 Green Bean soup isn't super common, but I want to try this green bean and potato curry from Waitrose. Lots of ginger and chiles, so you know it will be really fresh and spicy. Doesn't it look so fresh and summery? 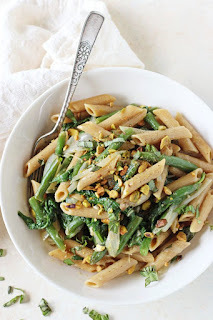 Another fool proof option is always pasta! 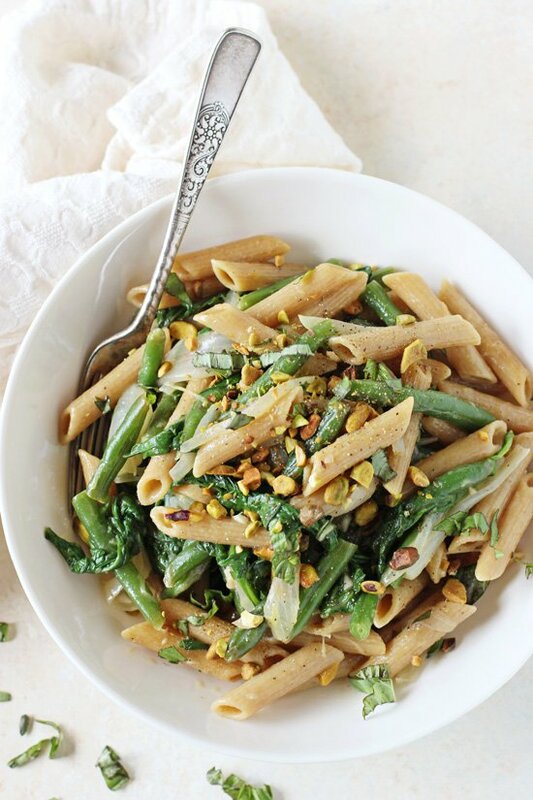 Cook Nourish Bliss has a pasta skillet that could be a huge hit in your house. 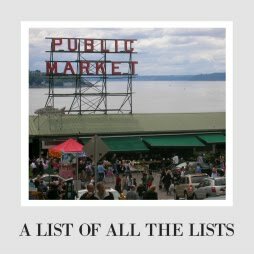 I love that it is lemon-y, and it looks pretty light for those summer meals.